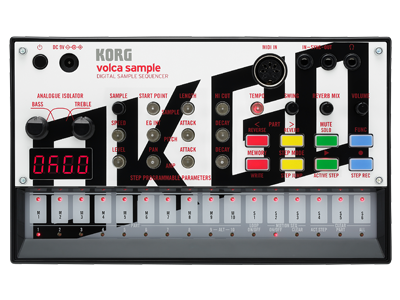 A powerful partnership between KORG and OK GO - a special edition of the volca sample. Packed with 100 carefully selected audio samples from "Hungry Ghosts," the latest album from OK GO, the limited edition OK GO volca is now here. You can freely edit their numerous iconic sounds, such as the vocal line from "I Won't Let You Down" or the bass from "The Writing's On the Wall," and arrange them to create your own music. Use the content to create your own version Ok GO’s infectious tunes, mix and match content with your own samples create remixes, or create entirely original sample-based music using the simple, step-based recording layout of the volca sample. "OK GO is a great band that has embraced and shown amazing creativity in a diverse range of outputs that's not limited to music (videos, performances, design, collaboration, ...). Wouldn't it be great if they released not just songs but an instrument? Wouldn't it be great if anyone could use this instrument to create OK GO remixes? 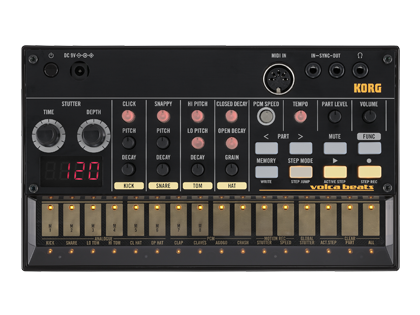 And wouldn't they make a really cool looking volca if they redesigned it? These thoughts were the impetus for this project. 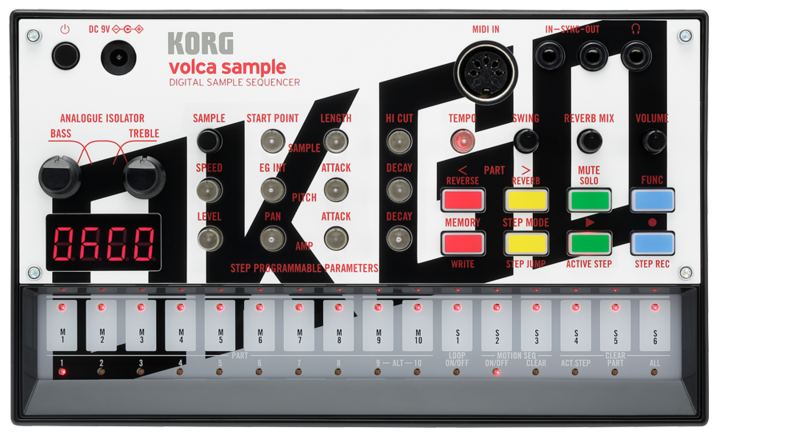 Now you can enjoy the finished result: the volca sample OK GO edition." One hundred guitar, bass, drum, synthesizer, and vocal phrases that were actually used on "Hungry Ghosts," the latest album from OK GO, are built-in as preloaded samples (*). First you'll want to listen to these samples and enjoy the signature sounds of OK GO. 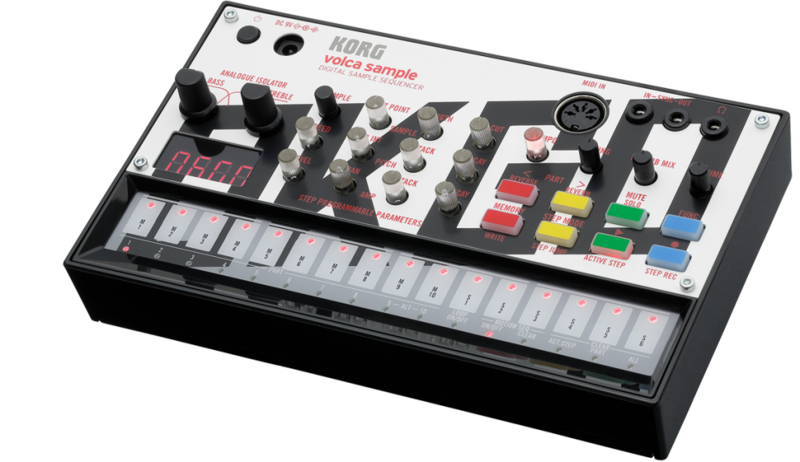 You can also edit the samples intuitively as you would expect on the volca sample. You can create completely new sounds by turning the knobs to adjust parameters such as length, pitch, and level. Just as OK GO has given us songs, music videos, and performances that have never been seen or heard before, you can use this machine with OK GO sounds to generate and play sounds that nobody has ever heard. * By using the dedicated AudioPocket iOS app, you can load your own sample material. Download the app here. Additional third-party editors are also available for iOS, Windows, Android and Linux. Click here for more information. 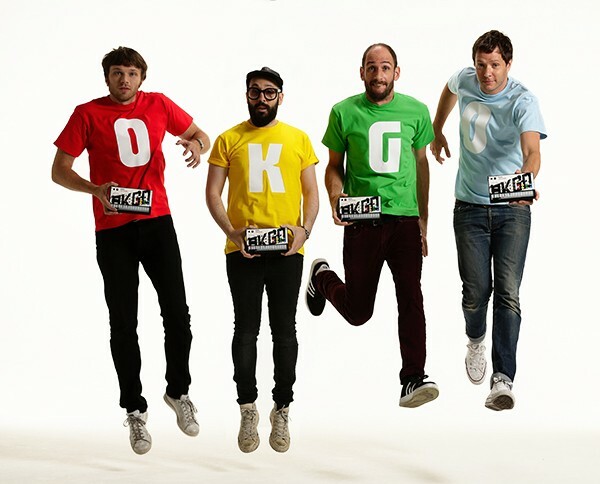 The visual image of OK GO is cool, pop, colorful, and crazy! That unique worldview has now been applied to the volca sample. 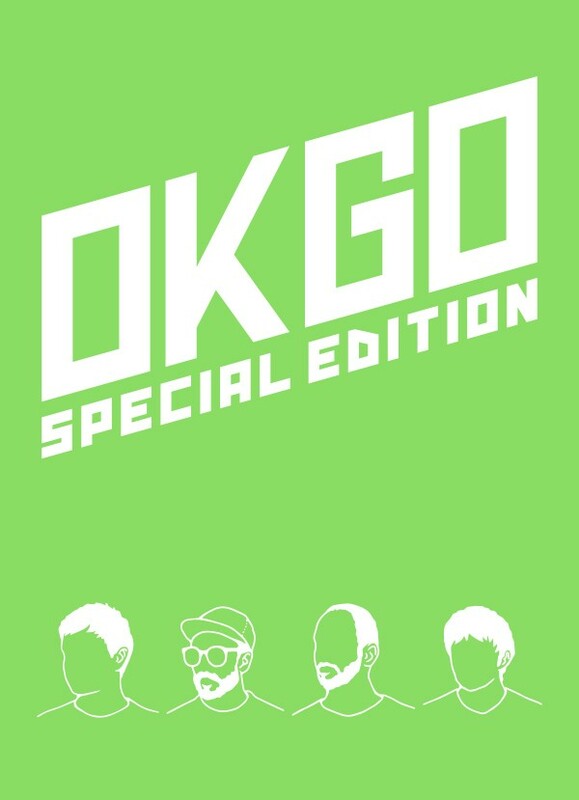 All of the graphic design was done by Taku Sakaguchi, the Japanese designer who handles the official artwork for OK GO. 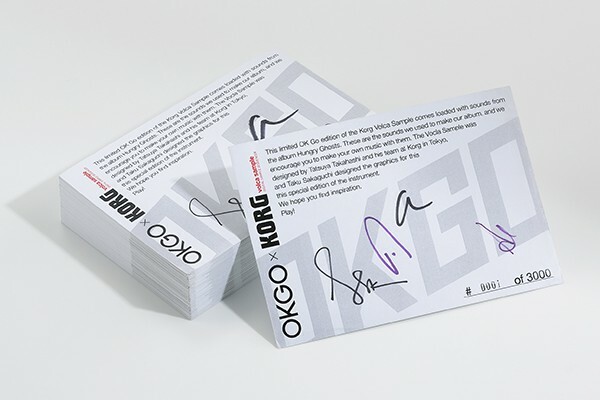 Limited to the first 3,000 units produced, a numbered certificate with the actual signatures of all four members of OK GO is included. A total of 11 parameter knobs let you freely edit the sample sounds. For all of those parameters you can use motion sequences to record knob movements, allowing you create time-varying change in the sound. In addition, there's an analog isolator that lets you create excitement by boosting or cutting the low or high function range, a reverse effect that plays the audio source backward, and a reverb effect. 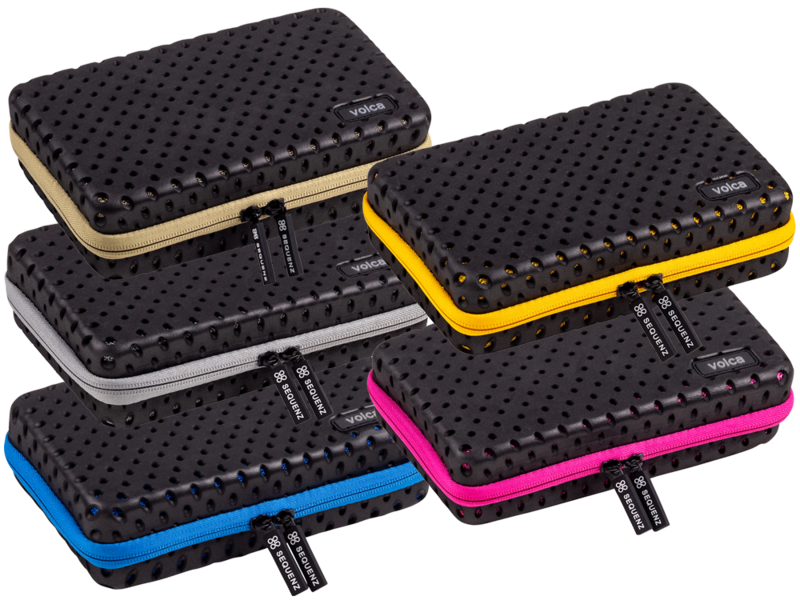 These provide powerful and quick ways to keep varying the sound in numerous ways. The built-in step sequencer is designed for easy editing, and makes it easy for you to improvise by inserting and removing parts. 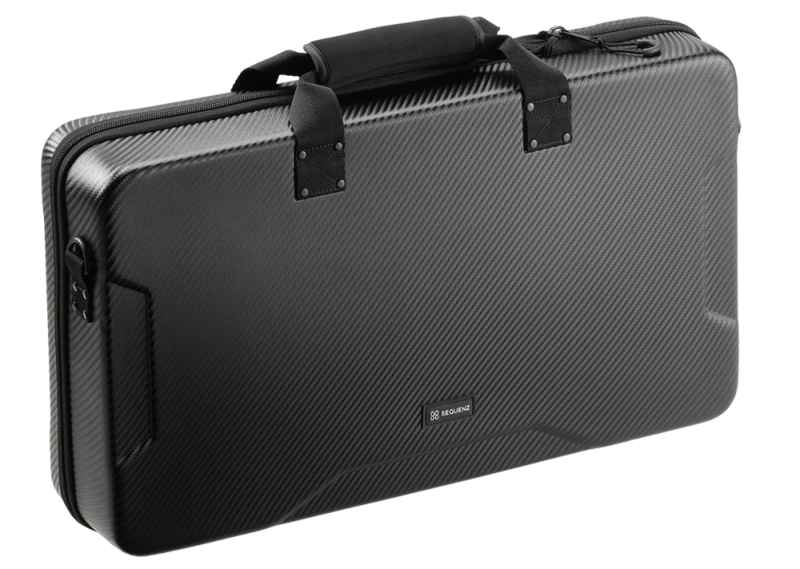 You can use the 16 step keys for quick step-recording, or record in real time while you perform. Combine completed sequences to create song patterns. In addition, there's an active step function that lets you instantly insert or remove steps inside a sequence, a step jump function, and a swing function that lets you create grooves that "push" or "drag" the beat. The volca sample lets you improvise dynamic performances. 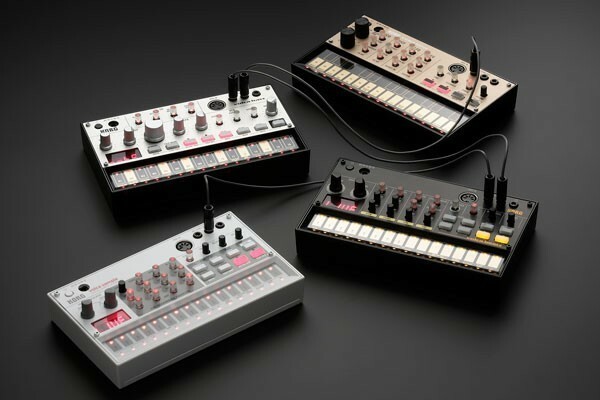 These aren't the only great things about the volca sample. 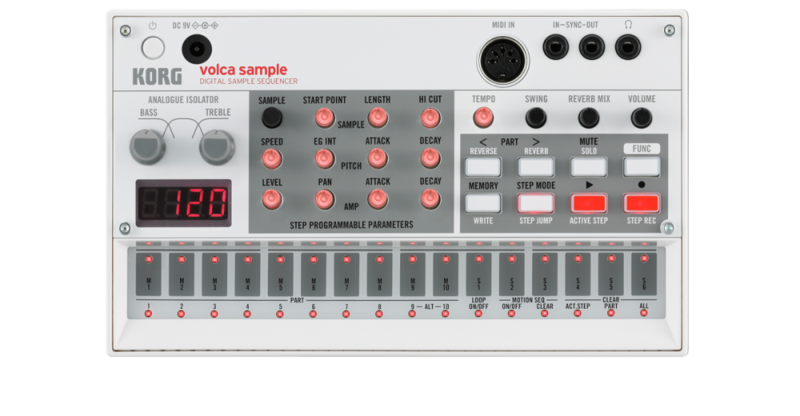 More information about the functionality of the volca sample is provided below. OK Go is a pop rock band formed in 1998 by Damian Kulash (vocals and guitar) and Tim Nordwind (bass) in Chicago, and is currently based in Los Angeles. The band has released four full length albums. The 2006 self-produced music video for "Here It Goes Again" became a world-wide hit on YouTube, and was recognized in the YouTube Video Awards and the MTV Video Music Awards, as well as winning a Grammy Award the following year in 2007 for Best Short Form Music Video. The band's highly creative music videos have won numerous awards around the globe including 7 Cannes Lions. Their latest album, "Hungry Ghosts," released in 2014 is their first in four years. The music video for "I Won't Let You Down," the lead song off the album, was shot in Japan; within a week of being released it exceeded ten million views and premiered on the US TV show, TODAY. 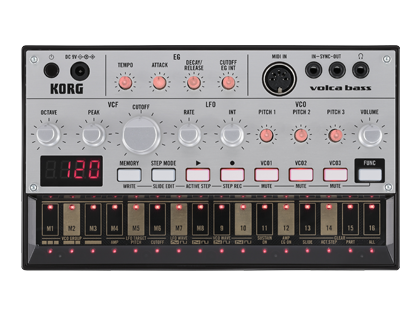 Compact hardware with the powerful sound engine of an analog synth and an intuitive and easy-to-use sequencer; that's the volca. Battery operation and a built-in speaker mean that you can conveniently enjoy serious sound. 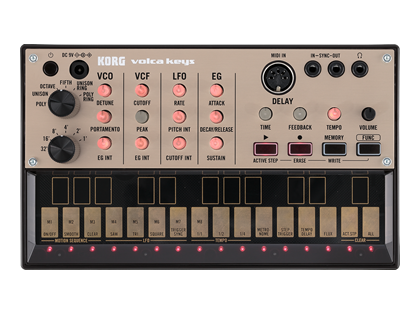 In addition to realtime performance with the sequencer (and even synchronized performances when multiple volca units are connected), you can also use the volca for music production as an analog plug-in for your DAW. A digital sample sequencer that lets you freely control up to 100 sample sounds.